Our indie darling of E3 2013 was by far Lovers in a Dangerous Spacetime. We already wrote a detailed preview earlier in the show, but we loved the game so much, we felt we needed to go back and talk to Jamie Tucker and Adam Winkels of developer Asteroid Base. 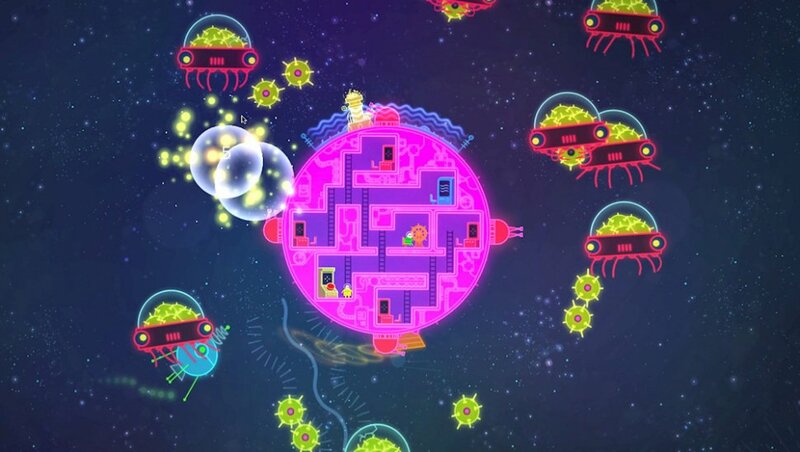 If you didn't know, Lovers in a Dangerous Spacetime is a two player local co-op game for the PC. It's being billed as a "micro-platformer." In essence you need to run, jump, and climb around a little spaceship to get to different defensive terminals and fight off aliens. Lovers in a Dangerous Spacetime is a 2-player co-op micro-platformer set inside a pink Death Star locked in battle with hordes of space baddies. Players work together running back and forth between ship control rooms, manning turrets, lasers, shields and thrusters to rack up points and stave off a vacuumy demise. Death may be a given, but at least you don’t have to face it alone. Watch the video below and find out what has inspired Lovers and what it's like for an indie studio to be in the mix of E3. Page created in 0.2839 seconds.